Totally excited from completing the last step of my Printrbt 3D printer build, I was eager to move to to actually printing something. My experience so far was sending designs off for others to to print at places like Shapeways or Sculpteo or finding someone else who has a printer for hire through xyzmake. I have seen plenty of 3D printers at conferences and even had the privilege of being at Swanton Elementary School when the day they unpacked and tested their first 3D printer. My research lead me to understand that there was a lot of "adjusting" and "tweaking" necessary to end up with quality prints. So I was a bit nervous about the next steps. 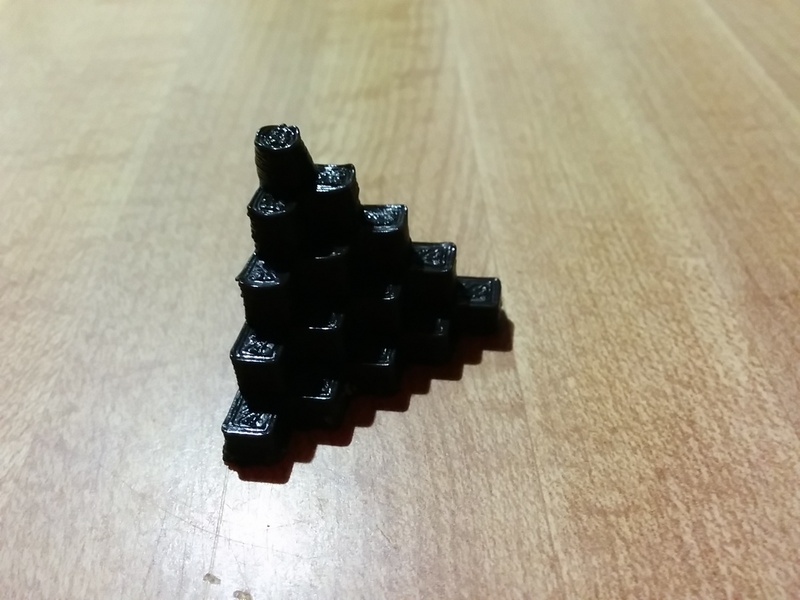 I fed through some black filament (included in the kit) and then pressed the SLICE button as directed. With all the talk about "slicing" that I've heard, it seemed a little anti-climatic that it took literally 2 seconds. The CONNECT button responded positively which mean I could talk to the printer. I hit the SET Temperature and watched the temperature curve quickly reach 195 degrees. Next step "RUN" to start your PRINT! THIS DID NOT SEEM RIGHT! Seemed there had to be more than this. What about the print head? Where should it start? Surely there must be some directions about calibration somewhere. I reread the guide and found none. A sense of anxiety came over me. 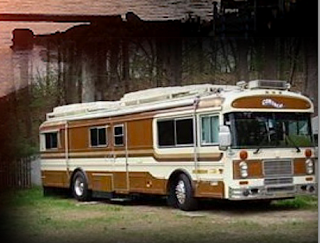 What was I thinking "trying such a project" in a 'bus' parked out in the middle of Texas. It's not like I could drag it into the local "genius" bar and ask for help. It was getting late and I didn't want to go to bed feeling anxious, so I decided to "go for it" and hit RUN as instructed. Yeah- filament started to squirt out! Boo - none of it stuck to the print bed and instead globbed up around the tip of the extruder. What to do? There were no instructions on what to do if that happened.. but looking around the software I found a "KILL JOB" button! Phew! The printer stopped! Exhausted by the long day of building filled with 'creative tension' of so much new learning, I decided that I could head to bed knowing that the day had been a success! The printer worked! And filament was coming out! And my hunch that their was a missing piece to these instructions was spot on! Tomorrow I would tackle that step! 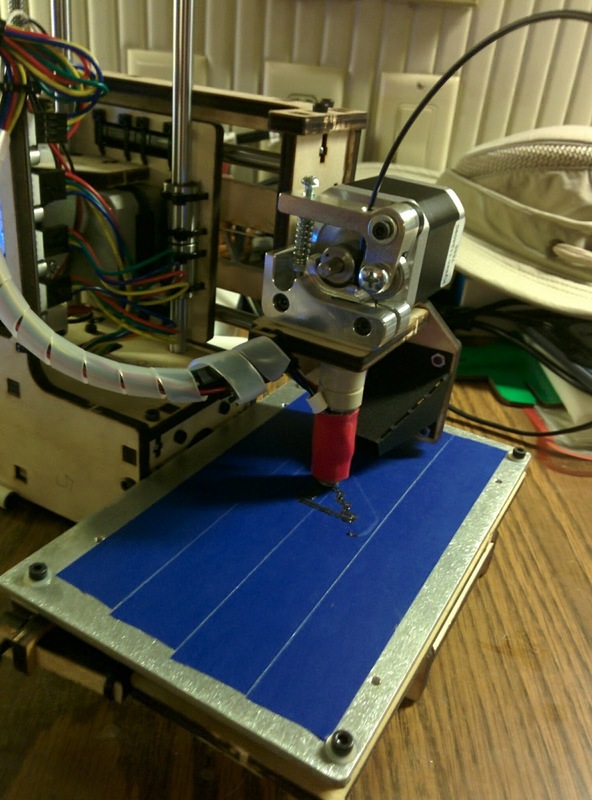 The first step was getting the blog of filament off the print head. Thankfully it came off easy enough. I did lots of poking around the Internet looking for answers. Armed with just enough knowledge to enter some key words into Google Search, I skimmed resource after resource picking up new terminology each time. 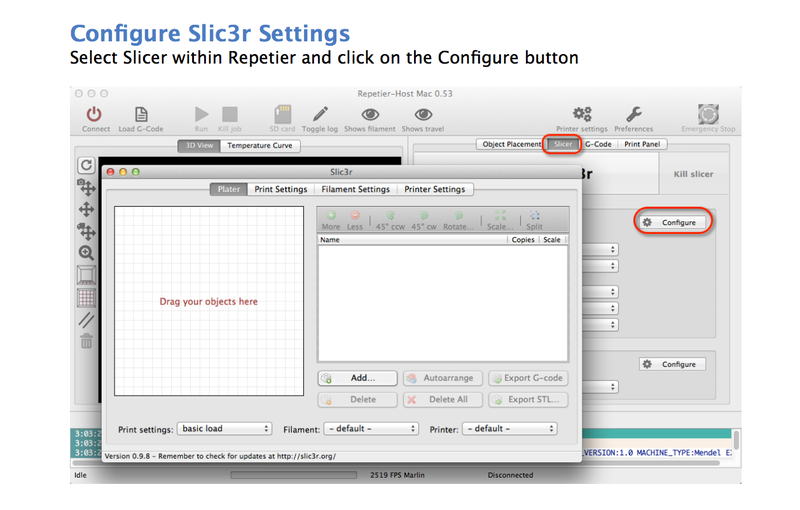 RichRap's blog post on slicer offered lots of pointers, but felt a little over my head for this stage in the game. But I saved them for a later time when I have more experience and am ready to tackle the granular advice offered by Rich. Just as the "I'm not smart enough for this" anxiety started to rise I discovered JOSH! OMG! Josh Marinacci not only had the same 3D printer and model that I had, but he knew how to write great documentation that helped me regain confidence that I could do this and my brain stopped sending me "I'm not smart enough messages" and started to send more rational messages like "I have an experience gap that makes it hard for me to do this" and Josh is about to help me bridge that gap! And the fact that his blog started with tales of his recent adventures at SxSw made me trust him immediately. For all I know, we might have been sitting in the same sessions at SxSw. The fact that he added pictures of at least 5 "less than perfect" prints before getting a successful print also helped manage my expectation and prepare me for the fact that I might still get a globby mess. I followed his advice step by step, starting with adding blue painters tape to the print bed. When there were discrepancies in the Prntrbot documentation and his directions (i.e. 4800 for feedrate vs 500) I chose to follow his specs. Moved the extruder so the X and Y axis appeared to be front and left, and brought the z axis motor so that a sheet of paper slid through with a little friction. Then we calibrated the extruder feed rate by marking off some filament and sending 10 mm at a time through the printer. The extruder feed didn't even need adjusting, but it was good to see that Josh offered all the "math" necessary to make the adjustment should we need them. (I'm keeping those formulas handy). Took a deep breath, hit the software HOME button on x, y, and z - crossed my fingers and HIT RUN! First relief and soon glee came over me as layer after layer stuck to the bed and built up a 5mm calibration cube! And best of all - it didn't look like a glob - it actually looked like a pretty decent print. I was high as a kite for the rest of the day! I was able to happily tuck the printer away as it was time to move bus again and we had 3 days of driving head as we left from Texas to Oklahoma City and then to St. Louis. Here is the short video peak at my first print. More maker adventures to come! I started by using the resistance sensors on the Picoboard to make a physical drumset play a virtual drumset created in Scratch. Once I got that working, I decided to add new features that would use each of the sensors found on the Pico board. I need to give credit to the user cwb2001 on the Scratch community whose "sprites" I found that would serve my purpose. I learned that if you try to download the sprites from the online community, they did not work in my local version of Scratch, but if you click on the individual costumes, you can export the png locally (very useful tip for remixing for those of us who are NOT artist). I also want to acknowledge Mr. Michad from Nebo Elementary School who has some great lesson ideas for music, technology, and more for the idea of creating a drumset.